In March we were approached by Professor Sandra Markus of the Fashion Institute of Technology to participate in a yearly professional development think tank called The Digital Spa held during the first week of June. 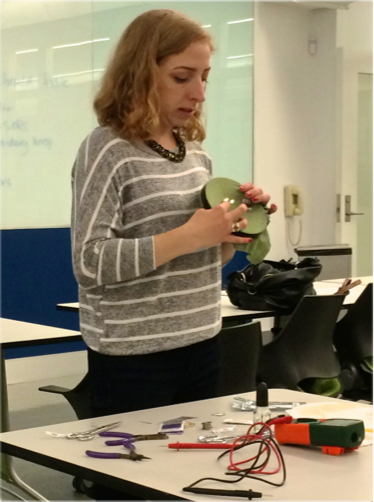 Throughout the week, participants explored e-textiles with workshops and visits to makerspaces. Sadly, I was not able to attend the full week, but donated some hardware and made it to NYC on Thursday for the last day of sessions. Digital Spa is a four-day intensive “summer camp” for faculty of the School of Art and Design at the Fashion Institute of Technology, SUNY, in New York City. Initiated in 2007 by Professor Sandra Markus and co-facilitated for the past four years with Professor Kurt Vega. Presenters discussed their design work using these new technologies. They explored the disruptive innovation that the maker movement has created in design and manufacturing. The educator panel discussed the relevance and importance of this movement in higher education, and how it should be integrated into our curriculum. 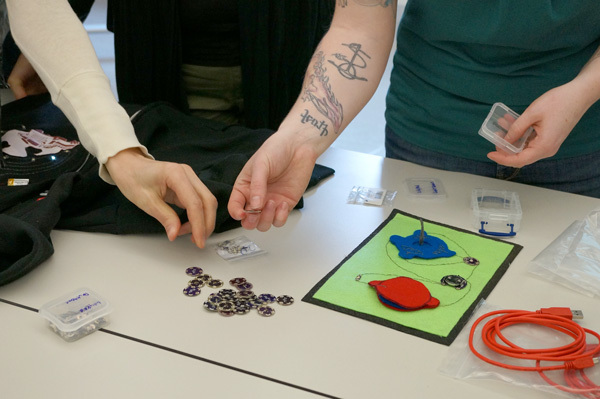 Becky Stern of Adafruit taught sewing with conductive thread at the start of the week. 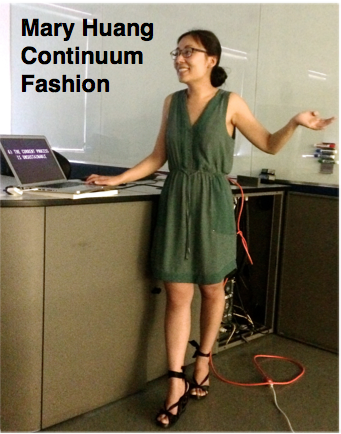 Mary Huang of Continuum Fashion showcased her designs using computational technology combined with fashion and 3D Printing. Additional presenters included: Duann Scott of Shapeways, Francis Bitonti of Francis Bitonti Studio and Lucas Goossens of Lucus Plus Jewelry. 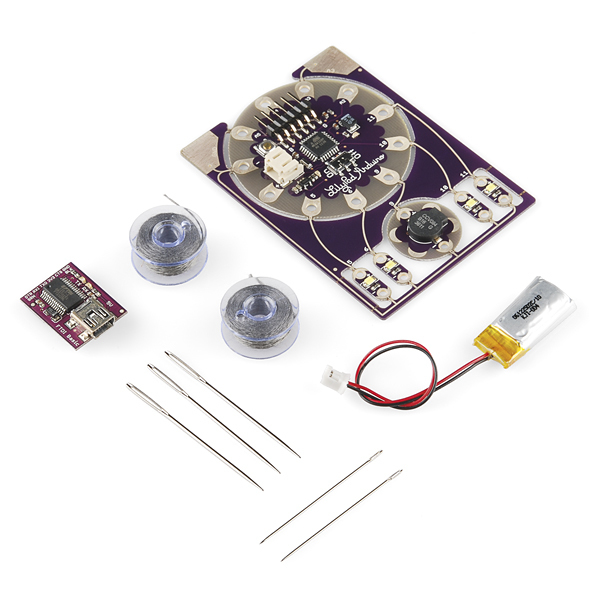 After an inspiring week of presentations and a trip to the Visual Futures Lab at the School for Visual Arts, SparkFun led a workshop on programming wearables with the ProtoSnap - LilyPad Development Simple. The prewired Protosnap board combined with using the ArduBlock graphical programming tool for Arduino enabled the participants to get a quick start on programming the LilyPad with drag and drop blocks. 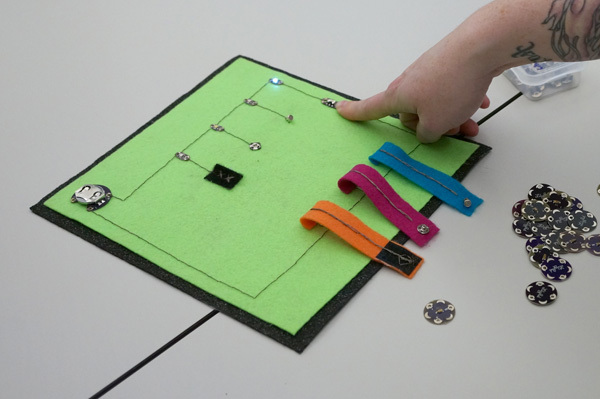 Within an hour, everyone was blinking LEDs and creating music with the attached buzzer board. 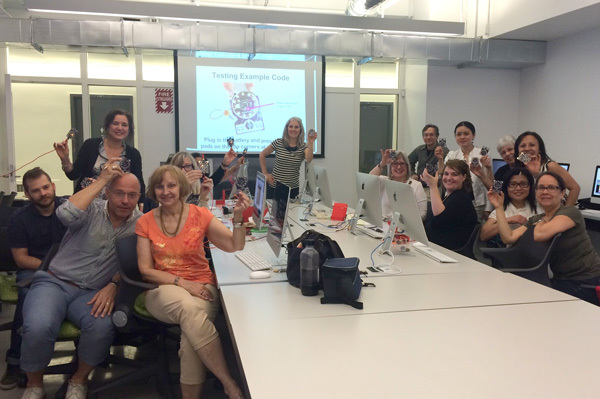 Digital Spa Maker Camp participants with their programmed LilyPads. 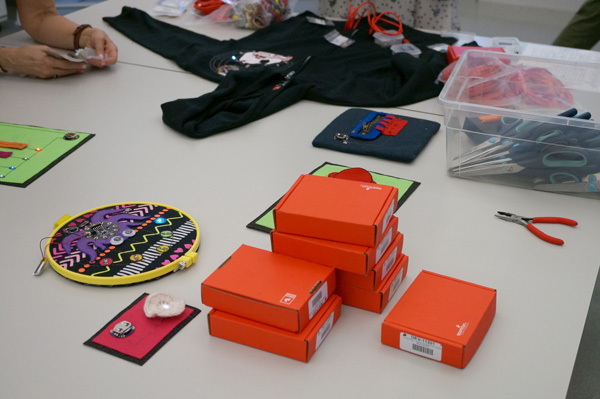 The workshop also covered techniques for incorporating hand made switches and sensors into an e-textile project, insulation techniques, and tips and tricks for prototyping with wearables. Participants explored using both LilyPad sewable sensors and techniques for creating their own buttons and switches with conductive fabric and thread. Examples of using jewelry findings and craft store items as switches. Some demos and kits ready for use at the crafting table. I had a great time working with the Digital Spa team and cheers to Sandra and Kurt for creating an environment that captured the maker spirit. Looking forward to seeing what the Digital Spa has to offer for next year. My name is Mike! I represent Archicgi rendering service. Thanks for yours post, I really like it. I want to know can I publish it at our site http://archicgi.com?